Portugal star Cristiano Ronaldo was involved in a tough fitness exercises during his first training session as a Juventus player on Monday. According to UK Daily Mail report, the former Los Blancos star on arrival for the day’s business met some of his new team-mates at the Juve’s Turin training base following his move away from the Santiago Bernabeu in a switch valued at about £100million, underwent a number of tasking physical tests. 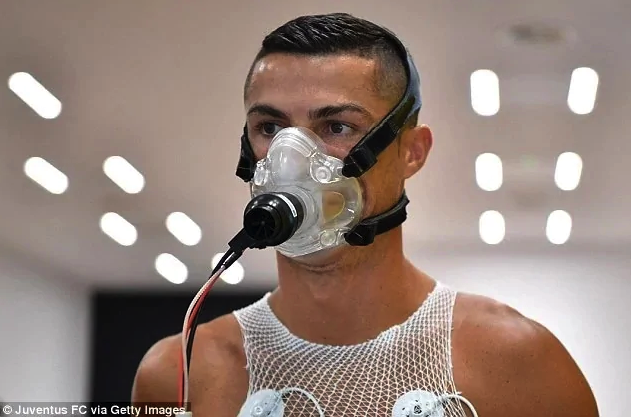 The report further revealed that the entire tests carried out on the 33-year-old’s fitness were meant to prepare the five-time Ballon d’Or winner for hostilities in the Italian topflight. The ex-Galaticos superstar landed in Turin on Sunday night after an extended vacation after representing Portugal at the World Cup in Russia. On arrival, some supporters of the Serie A side were on ground to welcome him at the airport, capturing him with their mobile devices as he was stepping off a private plane alongside his family and entourage. 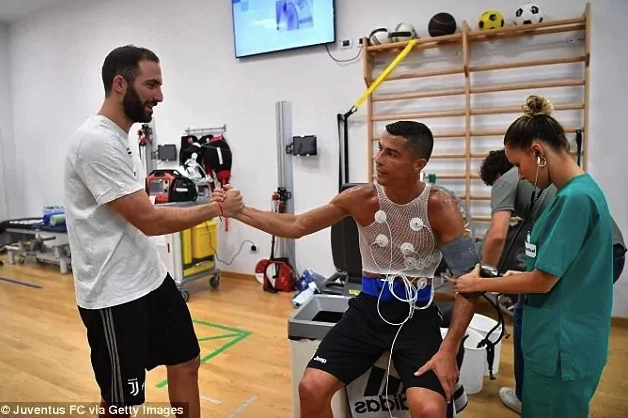 Ronaldo is yet to meet the rest of Juventus squad as they are currently are away on pre-season training tour of the United States with club’s boss Massimiliano Allegri. However, he exchanged pleasantries briefly with new club mate and Juventus forward Gonzalo Higuain. The Argentine played alongside Ronaldo’s at Santiago Bernabeu before he left for Napoli in 2013. Higuain joined Juventus for £75.3m two seasons ago from Napoli but is reportedly linked with a switch to Chelsea this summer. Ronaldo also greeted Argentina midfielder Paulo Dybala as the Portuguese star was shown around his new base in Turin. The Serie A champions faced Ronaldo’s former side in the International Champions Cup on Saturday, but that will be too sudden for the new signing. 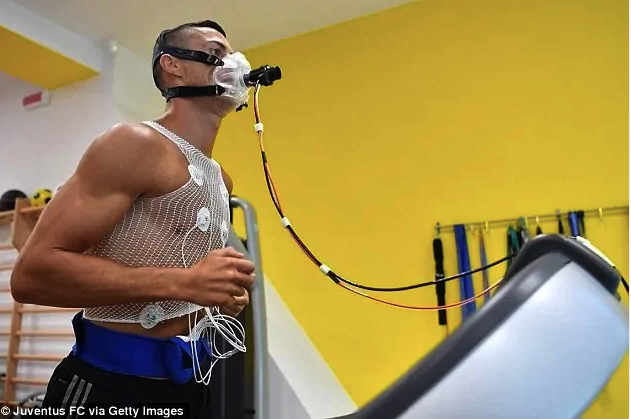 However, Ronaldo is expected to continue training in Turin ahead of his much expected competitive debut for Juventus against Chievo in their Serie A opener on August 19. The former Manchester United ace was in Greece briefly with his family after Portugal crashed out in the round of 16 fixture against to Uruguay, before heading to China for his annual CR7 brand tour with Nike. The Portuguese arrival in Turin signifies the commencement of another serious ‘journey’ for the five-time Ballon d’Or winner. The 33-year-old has been afforded an extended break following his World Cup campaign with Portugal but that time off is drawing to an end. Some Juventus supporters were waiting at the airport filming with their phones as the £100m-signing landed.